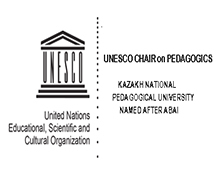 UNESCO chair on pedagogics at the Kazakh national pedagogical university named after named Abai was opened on 5 October 1999. The agreement on the opening of the UNESCO chair was signed between the Director General of UNESCO Federico Mayer and rector of Almaty University named after Abai Sadykov T. S. Included in the International educational network of UNESCO in the framework of the project «UNITWIN» UNESCO chair on 14 November 2006. A Memorandum of Understanding was signed between the Institute of Information Technologies In education of UNESCO And the UNESCO chair of pedagogy on 02.06.2011, which was also signed by 23 UNESCO chairs from 13 countries. The work of the Department is important in the development of partnerships to assist faculty members in establishing programs with other foreign universities, exchange of faculty compositions. 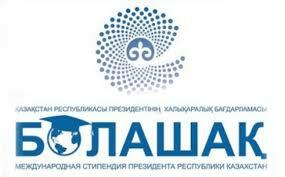 UNESCO chair on pedagogy is part of the National Commission of Kazakhstan for UNESCO and ISESCO. Participates in meetings and forums of the national Commission and UNESCO chairs. Included in the structure of the departments Department of teacher training and higher education Department of UNESCO. 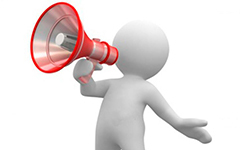 Department of UNESCO provides assistance in arranging various international conferences for educators and researchers. Within the framework of partnerships with International funds, the Department held workshops for teachers of high schools of Almaty using innovative teaching technologies, and working through the activities on promotion and implementation of UNESCO recommendations on the structure of ICT competence of teachers, in collaboration with the Institute of Information Technologies in education (IITE UNESCO). 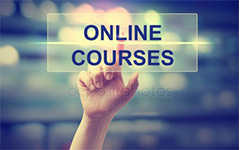 According to the recommendations of UNESCO and the formation of competence and professional development and capacity-building of education workers of member States of UNESCO, members of the Department were presented to the project that won the international competition of UNESCO «Innovative practices in the field of information and communication technologies in University education». For the competition, projects were presented from 14 countries. According to the recommendations of UNESCO and the formation of competence and professional development and capacity - building of education workers of UNESCO member States, the staff of the Department presented a project (Innovative practice in the field of ICT at the University of education. Authors: Selyutin G. Ya., Kamalova G. B., Koneva S. N.), it became the winner of the international competition of UNESCO «Innovative practices in the field of information and communication technologies in University education». Projects from 14 countries were presented at the competition. 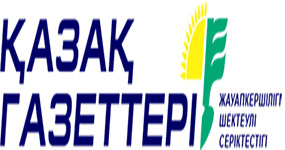 The partner of the UNESCO IITE - KazNPU after named Abai was developed in accordance with the national educational standard of the International program «Master of pedagogical Sciences in the specialty 6M011100 - Informatics» and adopted for implementation at the Department of Informatics and Informatization of education (head. the chair - Professor E. Bidaibekov S). In 2015. the graduation of 22 master`s degree students, who, together with the University diplom. Abay received the UNESCO IITE certificates confirming their education on the International master`s program that allows them to work in foreign educational institutions. Such increased attention to ICT is understandable, as school reform is unthinkable without computer and communication technologies. Therefore, ICT and digital educational resources are being actively introduced into the educational process. And it is with Informatization today is associated as a change in the content and the use of new methods of learning. 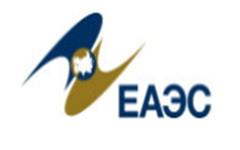 Implementing the initiatives of Kazakhstan on The international decade of rapprochement of cultures, KazNPU after named Abai at the UNESCO chair the sector of "Rapprochement of cultures"is formed. The rapprochement of cultures and the dialogue of civilizations is a historical pattern. And today, in the era of globalization, this process is of particular relevance. The sector of rapprochement of cultures created in KazNPU carries out the activity in all directions of scientific and pedagogical activity on this subject. 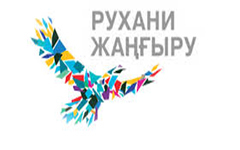 According to the project "Culture of Kazakhstan under the auspices of UNESCO"(head of the head. UNESCO chair on pedagogy Selyutin G. Ya.) published the monograph «Culture of Kazakhstan under the auspices of UNESCO» and «Educational complex - UNESCO Activities in Kazakhstan in the context of the UN program - Decade of rapprochement of cultures». Authors: Selyutin G. Y., Kan G. B., Simtikov J. K., Sembinov M. K. Recommended by the UNESCO chair in pedagogy to introduce «Educational complex» at the Institute Sorbonne-Kazakhstan. November 15-16, 2018 in Abai Kazakh National Pedagogical University, in celebration of the 90th anniversary of the university, an international scientific-practical conference «The main directions of the implementation of the action program for the International Decade for the Rapprochement of Cultures» was held, dedicated to the celebration of the 90th anniversary of Abai Kazakh National Pedagogical University. The conference was attended by representatives of the National Commission of the Republic of Kazakhstan for UNESCO and ISESCO, the Ministry of Education and Science of the Republic of Kazakhstan, the UNESCO Cluster Office in Almaty from the countries of the near and far abroad of Bulgaria, Israel, Russia, Ukraine, Lithuania, Poland from 20 foreign universities and 10 cities of the Republic of Kazakhstan. - expand the role of culture, art and sports in the implementation of the program of the International Decade for the Rapprochement of Cultures in the preservation of cultural heritage through education. The conference received more than 137 reports. 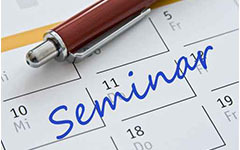 Having heard and discussed the reports, the Conference participants noted that all the presentations are written on relevant topics that meet the general concept of the conference. Especially interesting were the performances of O. Suleimenov on the theme: «The study of the great migrations of peoples - the key project of the decade of convergence of cultures». The speaker noted that Kazakhstan has not done enough in this direction, it is necessary to strengthen the work of scientific organizations and universities. Interesting reports are related to the development of issues of sports as a cultural heritage, cultural code, which in the broadest sense serves to strengthen and enhance the dialogue between cultures at the national, regional and global levels. The conference speakers emphasized the dominant role of education in the implementation of the concept of the Decade for the Rapprochement of Cultures, which opens up new opportunities for acquiring additional knowledge, competencies and skills thanks to the creative potential of people. 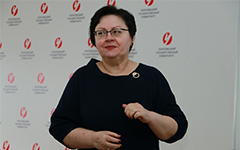 The speakers also emphasized that learning in the age of the information society should fully utilize its potential, using it for the implementation of the Decade for the Rapprochement of Cultures program, since it is with the help of modern computer and educational technologies that carries a huge motivational potential, allows doing more emotionally and information rich. The presented reports indicate that a sufficiently large number of modern information and communication technology tools have been developed and used in the education system, but they provide little for the implementation of the ideas of the Decade for the Rapprochement of Cultures.